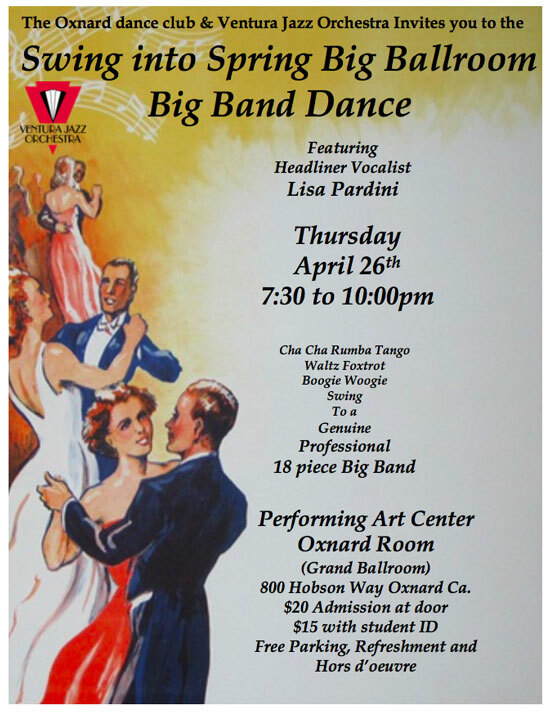 Thursday, April 26 from 7:30-10:00 pm Cha Cha, Rumba, Tango, Waltz, Foxtro, Boogie Wooie, Swing… to a genuine, professional 18-piece big band! 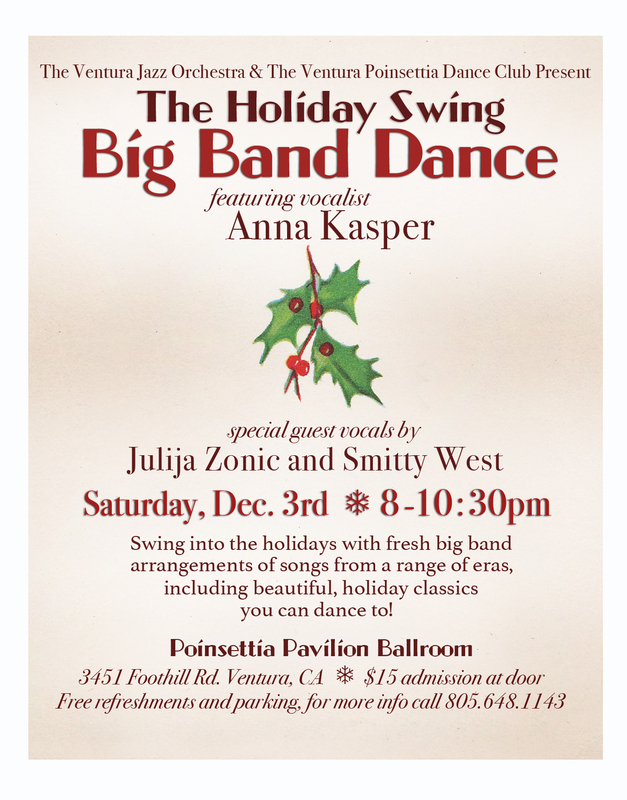 Saturday, December 3rd from 8 till 10:30pm. 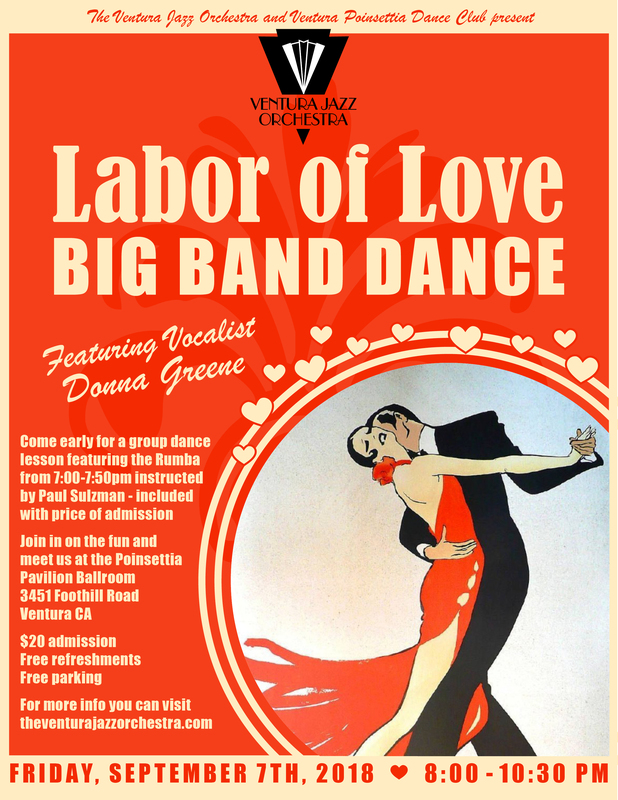 Swing into the holidays with fresh big band arrangements of songs from a range of eras, including beautiful, holiday classics you can dance to. 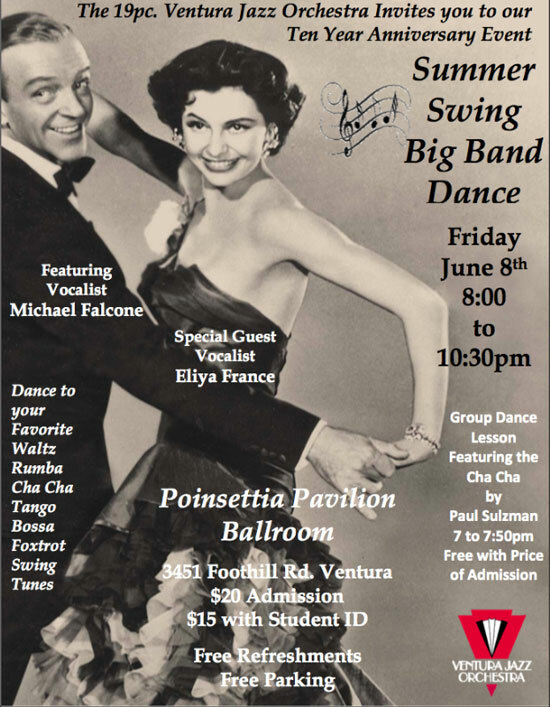 3451 Foothill Road, Ventura, CA $15 admission at the door. 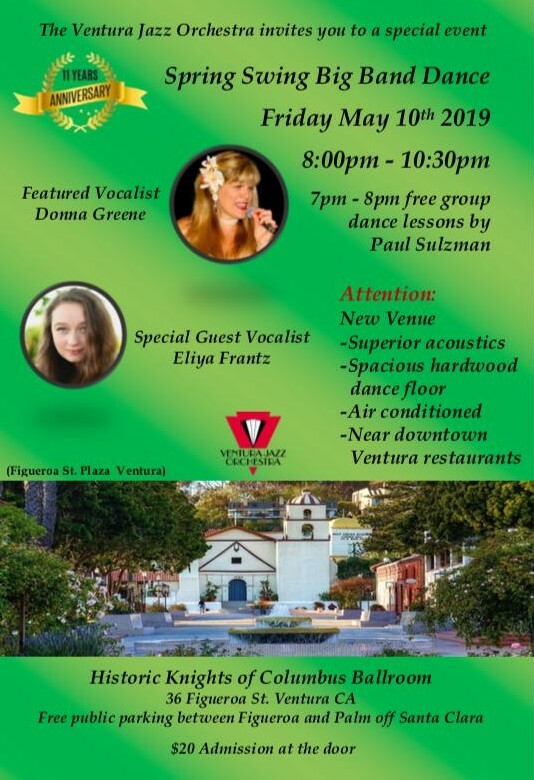 Free refreshments and parking. 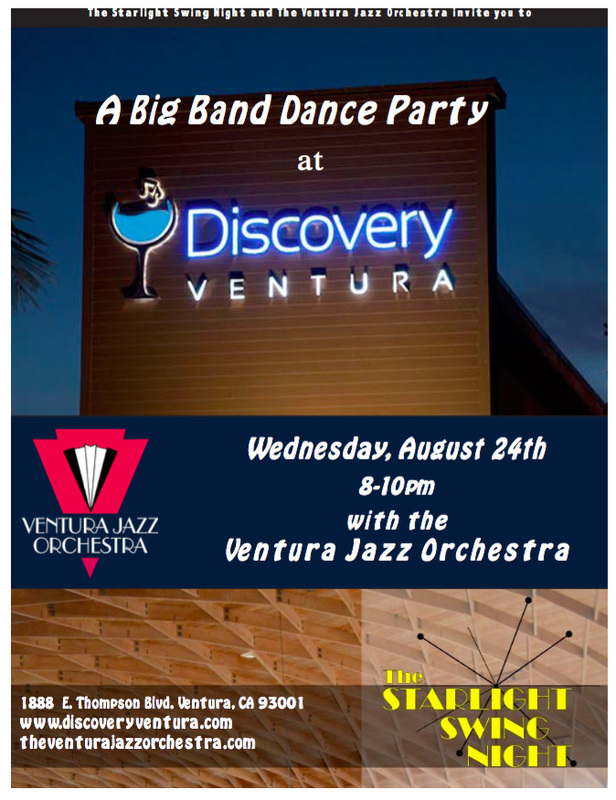 For more info, call 805-648-1143. 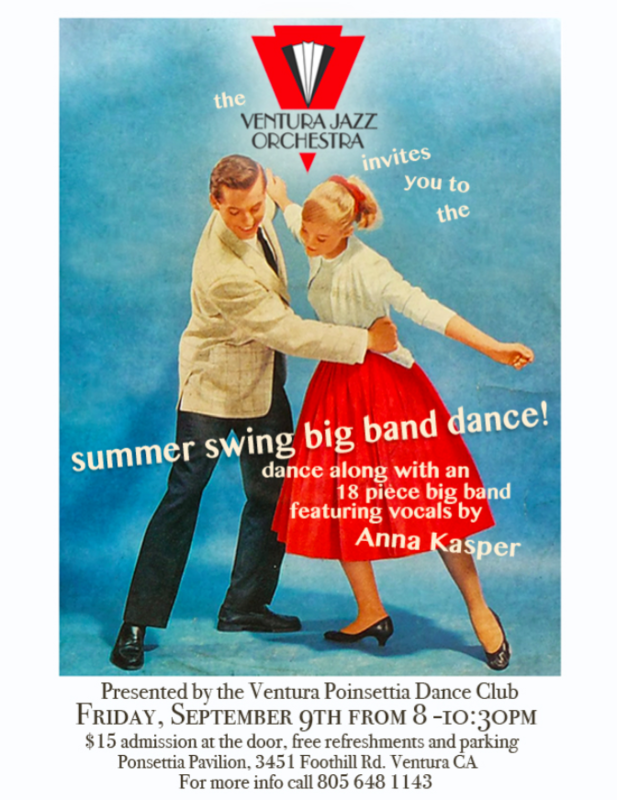 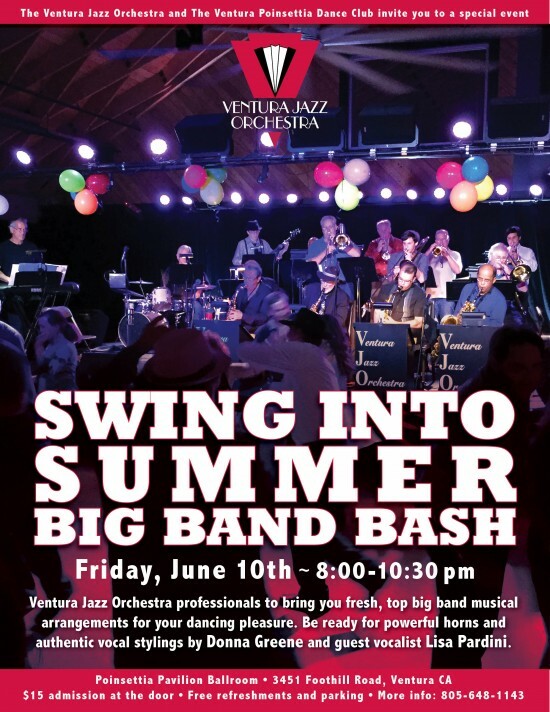 Friday, September 9, 2016 8:30 – 10:00 pm Summer Swing Big Band Dance The Ventura Jazz Orchestra The Poinsettia Pavilion 3451 Foothill Road Ventura, CA 93003 805-648-1143 Admission at the door $15 Break out your dancing shoes! 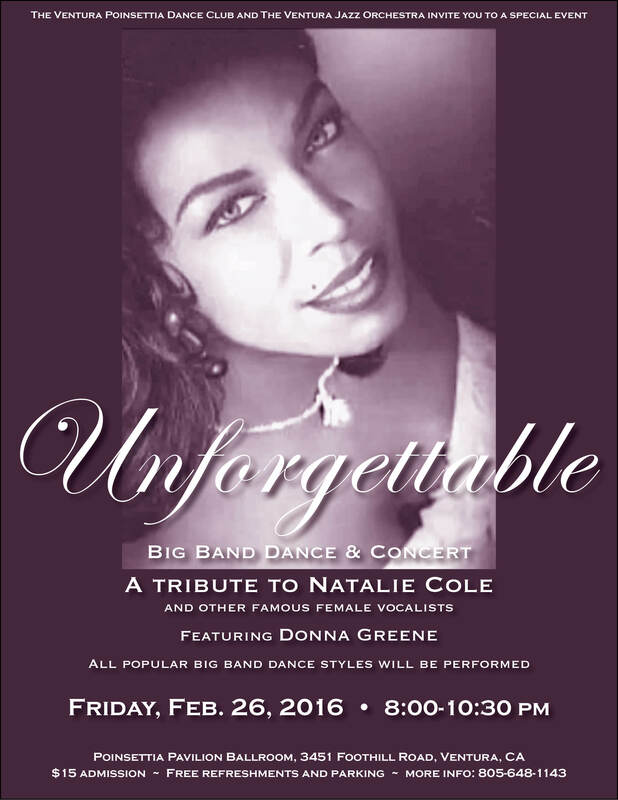 Refreshments and parking included.